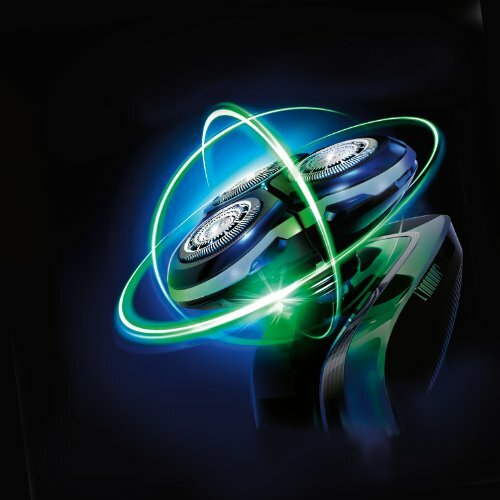 Philips is known for manufacturing high quality electrical appliances and their shavers are no exception. If you’re in the market looking for a beard trimmer that can handle just about any manscaping task, then the Philips SensoTouch RQ1250/17 Gyroflex 3D Rotary Shaver is worth taking a second look. Many beard shavers in the market do no trim or shave with precision. The RQ1250/17 SensoTouch shaver, however, features the ultra-track shaving system that delivers a close shave to minimize itchiness after shaving. The shaving head on this trimmer has 3 specialized shaving tracks, slots for normal hair, and channels for cutting flat lying or long hair. 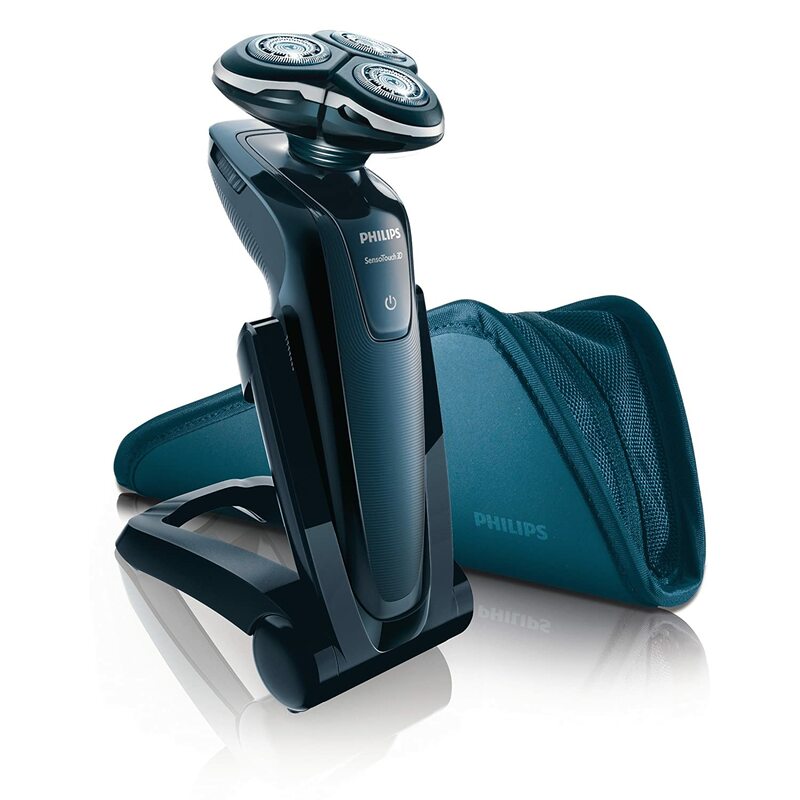 Designed with the Gyroflex 3D contouring system, this Philips shaver is amazingly flexible. It has 3 independent parts that pivot around, tilt inward, or flex outward with ease. Thanks to this full range of motion and the trimming head’s low friction SkinGlide surface, this shaver adjusts seamlessly to the curves on your face and neck without causing irritation. Add the Gyroflex 3D contour system to the anti-slip coating and ergonomic shape of this unit, and you have a beard trimmer that offers ultimate control when shaving. A common problem with most shavers is that they cause cuts and razor burns when you use them to clean shave areas that have flat lying hairs. This in turn induces rashes and irritations that make shaving unpleasant. However, the Philips SensoTouch RQ1250/17 is unique in the sense that it doesn’t just scrape for beard hair. Instead, the patented super lift and cut technology allows one blade to lift hair strands while the other one does the cutting to ensure a close, irritation-free shave. It goes without saying that electrical appliances suffer damage when exposed to water. As such, electrical trimmers typically provide a dry shave. This can be a downside for people who are used to wet shaving the way they normally would with a razor. With the Philips SensoTouch shaver, you get to shave the way you prefer. Its Aquatec seal technology allows you to get a comfortable dry shave or a refreshing wet shave and ehe package even comes with a Jet Clean solution for making your own shaving cream. The Jet Clean System built into this shaver is designed to clean, lubricate, and charge the trimmer. You can also rinse off hairs from the trimming head easily under running water. Other important features worth mentioning include the adjustable comb, LED display, and fast charge time (only 1 hour). The soft pouch only carries the trimming head and this means that an extra bag may be required for the charging stand/cradle when traveling. On the positive side, the shaver and accessories are all lightweight and compact. You can tell the reputation of a product by reading what other buyers say about it on independent review websites, and we’re proud to say that the Philips SensoTouch RQ1250/17 Gyroflex 3D shaver has carved a name for itself as one of the best beard and stubble trimmers. Much of this can be attributed to the wide range of positive reviews from majority of buyers. At the time of this writing, the RQ1250/17 shaver had a 4.4 star rating out of 5 on Amazon alone after more than 70 reviews. Except for the price of replacement blades and other minor issues, buyers seem to have few things to complain about this nifty grooming device. Philips shavers have a reputation of being very reliable. Philips is very confident with the RQ1250/17 SensoTouch Gyroflex 3D model, which even comes with a warranty. Overall, this shaver offers good value for its price tag when you consider the wide range of features it comes with. When used properly, it can also provide long-term, dependable grooming service. If you’re looking for a high quality beard shaver from a reputable brand, then this Philips shaver should definitely be at the top of your list of options.